“Perhaps because Godard had done it (with Une femme est une femme), as had Jacques Demy (with Les demoiselles de Rochefort), so too was Chantal Akerman spurred to conceive of making a Technicolor musical. Or there again, maybe it is just the fact that Minnelli’s musicals at MGM (how wonderful is The Band Wagon!) are such very good films, that any film artist would want to navigate those waters. The trouble, in 1983, for Chantal Akerman was that a significant budget would be required. The solution, to put it crudely, was to make a ‘making of’ before the making, a kind of calling card that would beguile financiers. 1. Adam Roberts, “Chantal Akerman’s Les Anneés 80. A Film About Spinning,” Huffington Post Blog, 2014. 2. Joanna Hogg and Adam Roberts, “A Nos Amours. 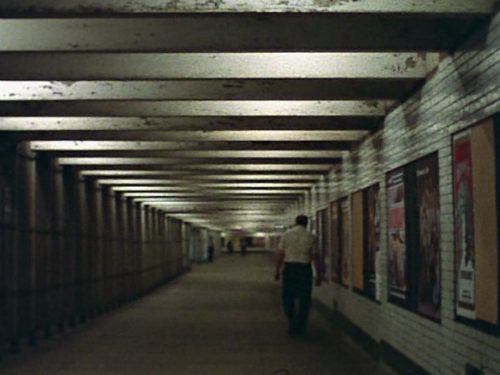 Chantal Akerman 8. Les Années 80,” ICA, 2014. 3. Jonathan Rosenbaum, “Chantal Akerman. The Integrity of Exile and the Everyday,” LOLA Journal, originally published in Retrospektive Chantal Akerman, a publication of the Viennale/Austrian Filmmuseum, 2011. Een winkelgalerij, om precies te zijn de ‘Galerie de la Toison d’Or’ in Brussel. Een architektoniese ruimte die de plaats zal worden van één of meer komiese verwikkelingen, waar een sentimentele ruimte zou kunnen ontstaan, en waar achter de komedie, en met de komedie, het geweld zich zou kunnen aftekenen, een dof, alledaags geweld. Nicole Brenez: Did you keep any traces from Levinas’ seminars? Chantal Akerman: No, I didn’t take notes and I forgot everything after my first breakdown. Since then, my memory’s been worse. It was a real disaster, just before Golden Eighties, which hadn’t been made as I wanted. I remember just how out of place and explosive it seemed in the landscape of the time; nobody was expecting such a joyous, colourful musical. That kind of exhilaration ran completely against the dominant taste in auteur films of the ‘80s. “Golden Eighties may not seem much like a teen movie to some, but it is from this contemporary genre, more than from old musicals, that Akerman here draws her bemused tone, and her cultural purview. Her film encircles a post-feminist (and post-political) space of endless consumption, glitzy all-pervasive commodification of emotion, showbiz femininity, regressive longings for the perfect romance, a certain delicate kind of camp sensibility. And who can say to what extent this is Akerman’s own space, her own sensibility? Is there really a critical, ironic sting to this tale (above all else), or rather an affectionate accommodation to a restricted notion of everydayness in the eighties – hardly golden, yet not, it seems, so harsh, either? For at least, in this world, love is everywhere (a Demy theme, announced from the second shot of a woman kissing two men), a passionate force circulating almost independently of the people it moves and tangles. 1. 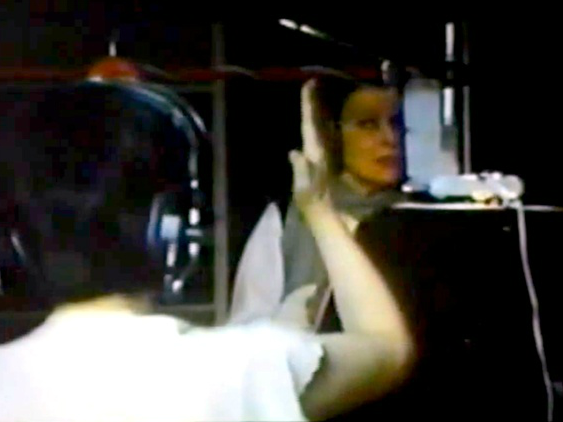 Chantal Akerman, “La galerie,” Versus, vertaald door Jack Post, oorspronkelijk verschenen in Ateliers des Arts, Brussel 1982, 113-118. 2. Nicole Brenez, “Chantal Akerman. The Pajama Interview,” LOLA Journal, translated by David Phelps, 2012. 3. Adrian Martin, ‘Golden Eighties,’ Film Critic: Adrian Martin, July 1989. 4. Alain Tijong, ‘Shop Windows of Desire 2 – Golden Eighties,’ Cinea, 23 August 2016. “We blijven het verlangen koesteren om ons meester te maken van het lichaam van een film. Zelden zal de foute stelling die cinema als fotografie in beweging beschouwt zo juist geweest zijn.